Ensuring your family affairs are in order, especially if an elderly loved one becomes ill, can be a daunting task. You must consider long-term care and financial safeguards and certainly creating a legally sound estate plan. For these and all other elder law, estate planning and special needs law matters, the law office of J. Kevin Tharpe, P.C. in Gainesville and Young Harris, Georgia is here for you. You know your family. We know the law. We know how the laws can ensure your needs and wishes are met. As your advocate and advisor, we provide you with the legal information and support for you to make the right decisions for your loved ones. 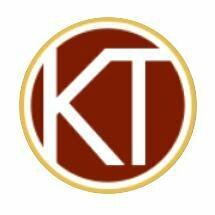 J. Kevin Tharpe is an elder law attorney dedicated to serving his clients because he knows firsthand what they are going through. Early in his legal career, his family looked to him for help with his grandparents' long-term health care. Establishing airtight long-term care, estate and financial plans for his loved ones provided the satisfaction of helping people who needed assistance and alerted him to the need of experienced, professional, compassionate legal counsel in Northeast Georgia. Having seen his work ease his family's stress and concern, Kevin was inspired to pursue an exclusive practice in elder law, estate planning and special needs law. Kevin also has first-hand experience with all of the legal and financial issues involved with a family member who has special needs. In addition to his personal commitment to his law practice, Attorney Tharpe also maintains professional memberships to the National Academy of Elder Law Attorneys and serves as an Accredited Advisor of the Department of U.S. Veteran Affairs.